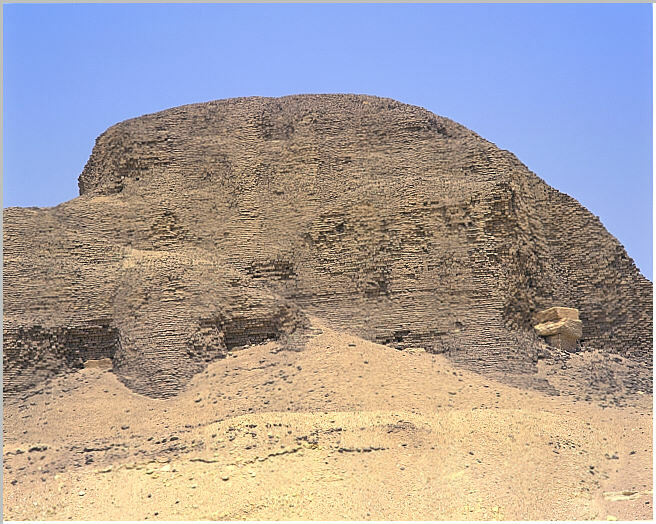 The south face of the pyramid. 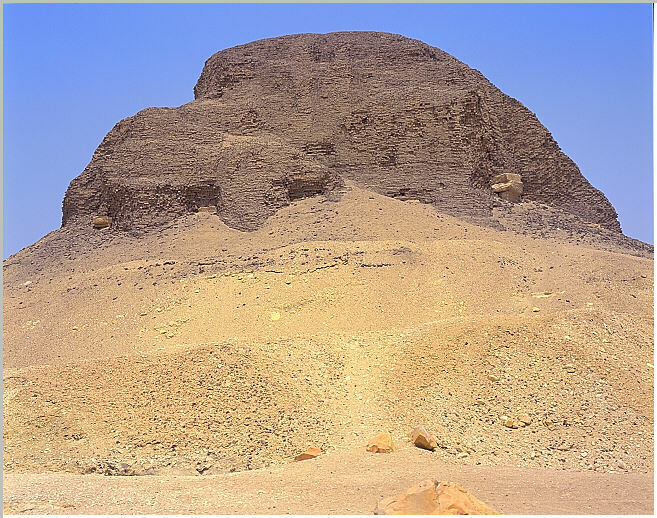 Here you can the the mudbrick core of the pyramid, the casing stripped away in ancient times. Some of the core radiating limestone are visible. 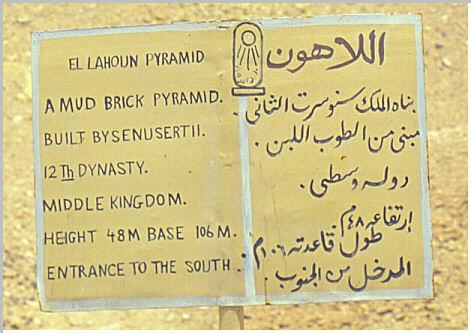 A sign visible in from of the pyramid gives some detail of the pyramid, in English and Arabic. 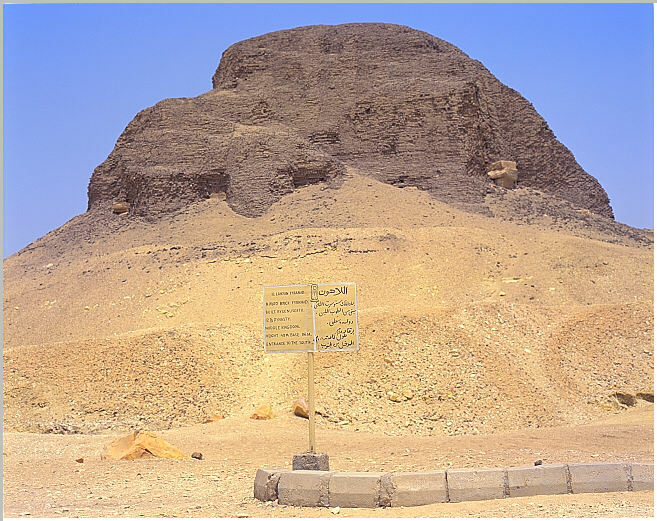 Another view of the pyramid from the south. A more detail view of the south face.